Swiss Architect Robert Hupertz in Chiang Mai, Thailand is using the Fibonacci spiral to create a unique and beautiful structure. The custom home design is inspired by the aesthetic features of this classic geometric ratio as well as the tropical climate of Thailand. 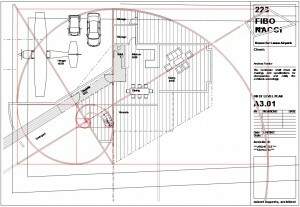 Chiang Mai architect Robert Hupertz of tropo-design, at the request of a client, is currently designing a house using the Fibonacci spiral and the ratio of the golden rectangle. This spiral is pleasing to the eye and found in nature, art and architecture. Everyday examples of the geometric wonder are seashells, roses, and sunflowers to name a few. 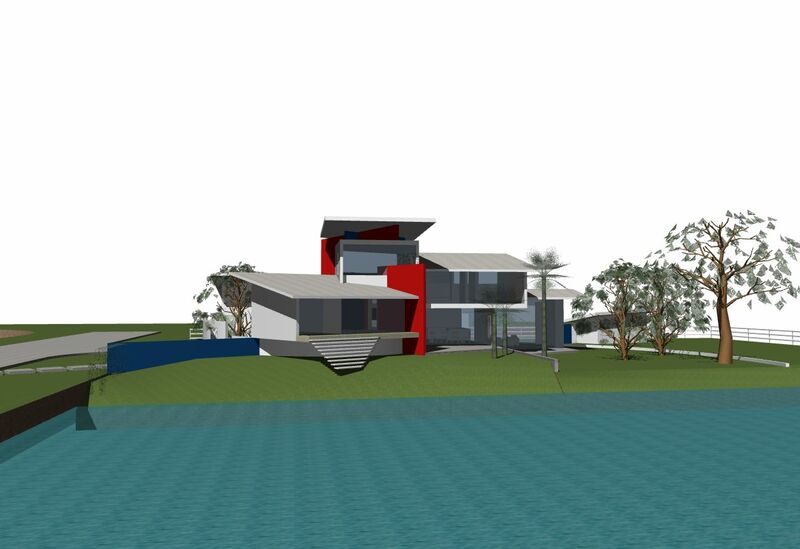 This new home will be built in Lamphun Province of Thailand, 20 km from Chiang Mai. The building is situated in Lanna Airpark, to the north of the privately owned Lanna airport. This project will be very elegant when completed The design of the main staircase starts at the middle of the Fibonacci spiral, and room sizes, heights, and openings are based on the ratio of the golden rectangle. Other elements of the design such as orientation, roof overhangs and protruding walls are defined by the track of the sun during the day to provide shade throughout the year. The shape and slope of the roof was chosen to increase natural ventilation, provide shade and give protection from the rain. This custom home will not need air-conditioning to maintain comfortable indoor temperatures. Instead, the house will be cooled by using thick, aerated concrete blocks for all walls which are exposed to the sun. West facing walls will have an additional ventilated skin to reduce heat transfer in the afternoon. Ventilated metal sheets with thermal insulation reduce the heat gain through the roof. Additionally, to keep the inside cool, the entire structure will have concrete for structural floors, beams, and columns. All windows are shaded from direct sun and located so as to increase the natural flow of air in the house. These passive measures will save the owner thousands of dollars overall in cooling costs. Swiss architect Robert Hupertz has been working in Thailand for 16 years and understands the climate and culture. His green architecture firm in Chiang Mai practices sustainable and climate responsive design. His goal is to design poetic buildings while conserving energy resources and reducing long term costs. He does commercial architecture in addition to residential architecture in Chiang Mai and surrounding areas. 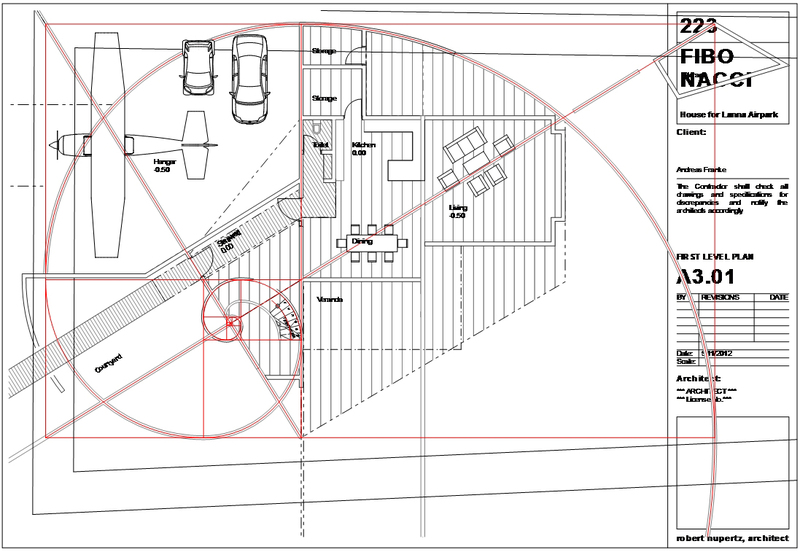 Robert and his client are looking forward to seeing the completion of this Fibonacci inspired home that will not only be beautiful, but immensely energy efficient. tropo-design is a custom architectural firm based in Chiang Mai, Thailand. Owner Robert Hupertz and his team create modern, cost effective buildings for the tropics. 4/9 Soi 3, Loi Kroh Rd. This press release was prepared by Bobrow Consulting Group (BCG) for tropo-design. BCG works with building design professionals to build their business by optimizing their online strategy, teaching marketing for architecture firms as well as offering web design and SEO consulting services. 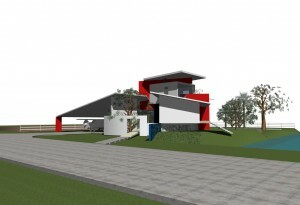 This green design features climate responsive architecture. Using advanced 3D modeling software, tropo-design is able to "walk through" a project before it even begins construction.